Add content to your issues by adding zones. Zones can contain articles, modules, RSS and more! This type of zone will display articles of one or more categories of core Joomla articles, k2 items or zoo items. 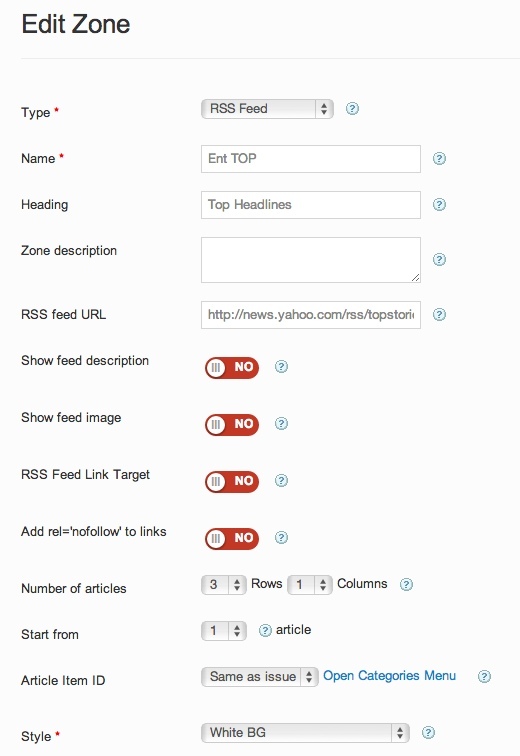 This type of zone will display one or more specific articles you choose. 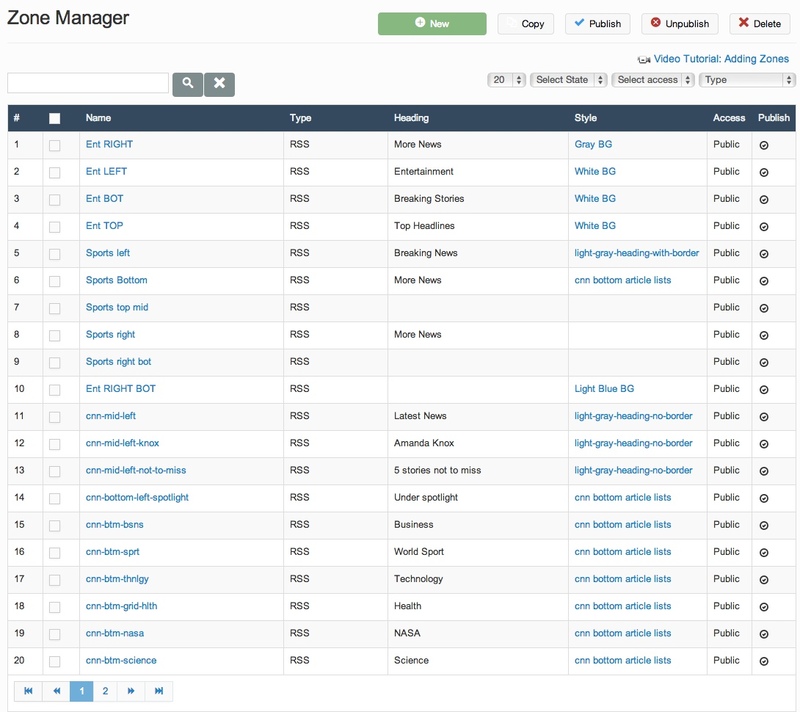 You can add as many articles you wish, from core Joomla, k2 or zoo. 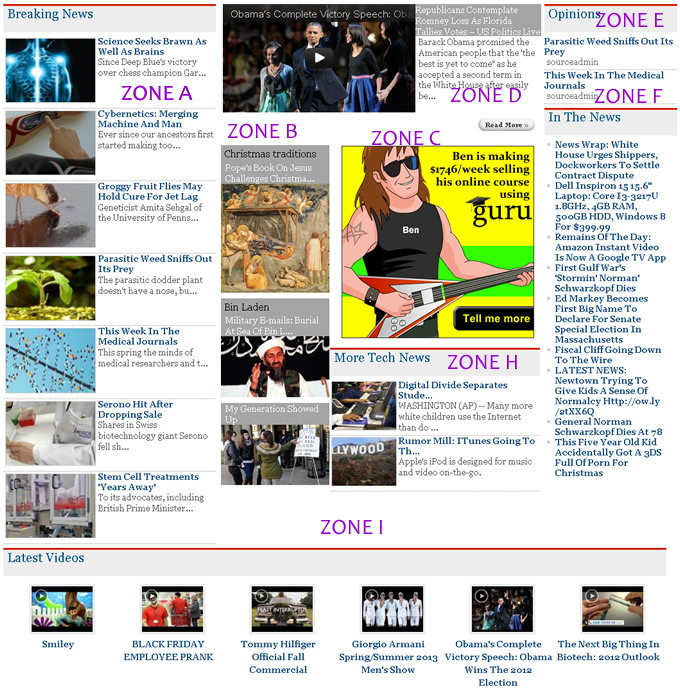 Your readers can now navigate a zone without leaving the page. You get to maximize your space and your readers get more of your good stuff.